Alexandre Ponrouch holds an ERC Starting Grant since 2017 for his research project on "Calcium and magnesium metal anode based batteries (CAMBAT)". CAMBAT addresses important challenges in the quest for a sustainable future, since batteries are essential components in a wide range of “everyday” technologies. It aims at developing new sustainable battery chemistries based on calcium (Ca) or magnesium (Mg) metal anodes which would bring a breakthrough in terms of energy density, while relying on much more abundant elements as compared to today’s state of the art Li-ion technology. A milestone of this project is the formulation of new non-corrosive electrolytes with enhanced ionic transport that would promote the formation of a stable electrolyte/electrode interface. This should enable building laboratory prototype cells with enhanced energy density and lower cost than commercially available Li-ion batteries. 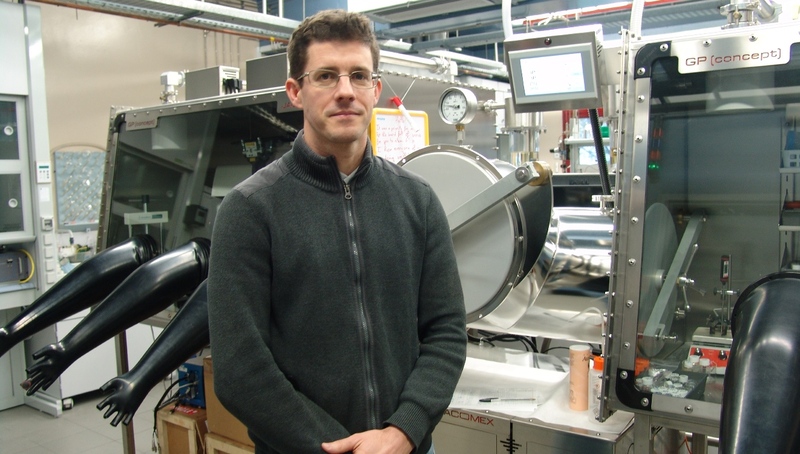 Alexandre Ponrouch is a researcher at the Solid State Chemistry group at the Institut de Ciència de Materials de Barcelona (ICMAB). He received his M.Sc. degree in Electrochemical Processes from the University Paul Sabatier (France) in 2005, and his Ph.D. in Energy and Materials Science at the Institut national de la Recherche Scientifique (Canada) in 2009. The IBA 2019 conference will take place at Scripps Seaside Forum, in La Jolla, CA, close to San Diego, USA from March 3 to 8, 2019. Alexandre Ponrouch is invited to give a talk as Invited Speaker at the conference in which the award ceremony will take place. The award consists of a plaque with his name appreciating your achievements and a financial recognition of $2,000.